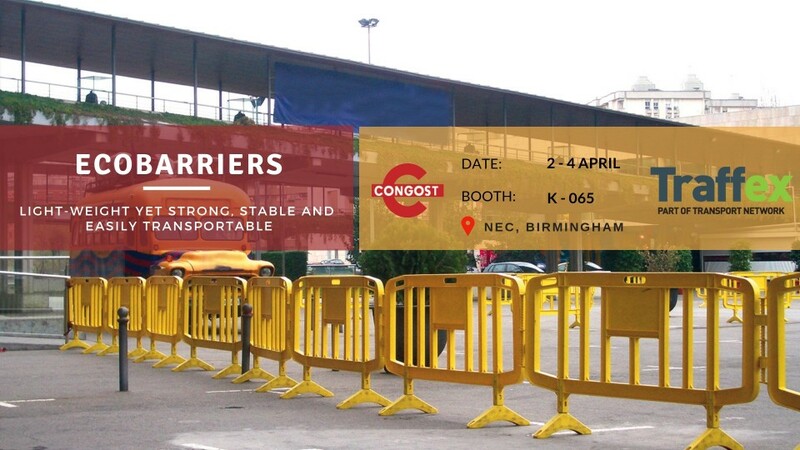 In this article, we want to explain the advantages of Congost Plastic Ecobarriers over metal barriers which you can find on display at TRAFFEX! The main advantage of the Congost Plastic Ecobarriers is its design: attractive and innovative. Ideal for the organization of events, signage works, concerts, etc … They are perfect for events by the pool or sea, because they do not rust like metals. Thanks to their feet, they are adaptable for any situation or irregularity on soil or surface. The Ecobarriers of Congost Plastic have 360° swivel feet allowing an important space saving aspect in transport and storage. Its stacking system allows safe storage and transport. Basically, they can be stacked without any problem. At Congost Plastic we offer you the best customized solutions always with excellent quality. Also here at Congost Plastic, quality is our maximum. Congost Plastic products respond when used in the hardest conditions and in the most delicate treatments. We are looking forward to seeing you at TRAFFEX 2019 at NEC, Birmingham!